The Ritz Cinema was built by Union Theatres next door to the Empire Theatre, on land which was previously occupied by the Royal Engineers, and opened on the 15th of May 1937. The Ritz was built as a cine-variety Theatre, as the Empire had been, and had an auditorium built in the Art Deco style on two levels, stalls and balcony, and was equipped with its own Wurlitzer 3 Manual / 7 Rank Organ. Union Theatres were taken over by ABC only 6 months after the Ritz opened in October 1937 and the name was changed to ABC. In the 1970s the balcony of the Theatre was split into three screens whilst the former stalls of the Theatre was converted for Bingo. Around this time it was known as the Canon. There are images of the Theatre during this period here, and here. In 2002 the three screen cinema part of the building was renamed Odeon, making it the third Odeon in Aldershot over the years, see the Alexandra Music Hall, and the Empire Theatre. 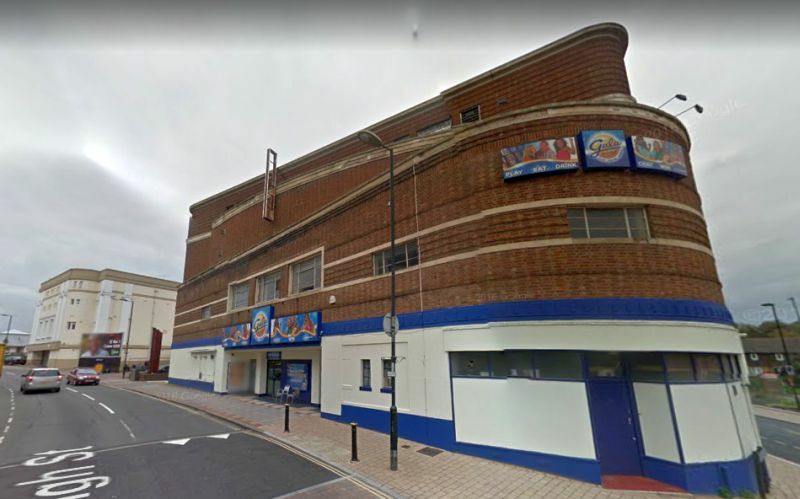 The Odeon cinema part of the building closed on the 10th of July 2003 and the space was then stripped out but the Gala Bingo Club in the former stalls was still running there in 2015. There is a video with details and history, along with many images of the Theatre, available online here.